Cisco Air Systems is able to provide complete turn-key air compressor installations with each air compressor package or air compressor accessory item we sell. 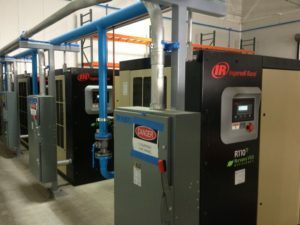 Cisco Air Systems has been in business for forty years and as a Master Distributor for Ingersoll Rand, a company with a history over 100 years old, our combined expertise in the compressed air business allows our customers to have confidence in us and also a brand that has stood the test of time. 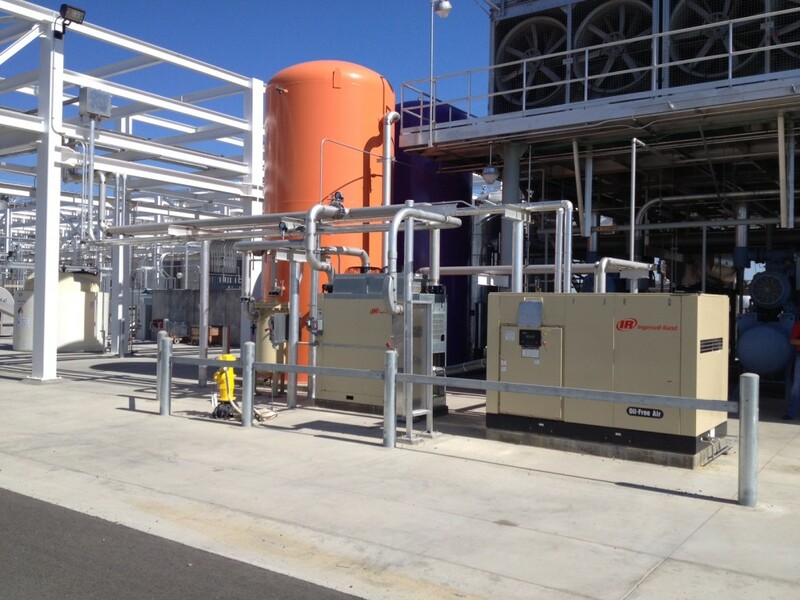 We know what it takes to design, install and maintain air compressors. Since Cisco Air Systems is the sole resource for installations, we take great care and responsibility in this role. We are highly capable of designing a complete compressed air system, supplying all of the necessary equipment as well as conducting the complete installation. We take on the full responsibility of the project so our customers can be assured that we are their only point of contact throughout the entire process. “Proper Prior Planning Promotes Peak Performance” is a phrase that is well understood here at Cisco Air Systems. We are dedicated to designing a compressed air system that meets our customer’s needs today, yet one that is flexible enough to allow for future expansions, if necessary. With multiple types of air compressor technologies and an experienced team, we’ll be sure to select the proper equipment design and layout for our customer’s needs. Project Managers oversee and orchestrate the entire project, ensuring proper installation and an efficient, smooth-running operation. With our experienced team, we have the ability to handle just about any type of compressed air installation. From design, supply, install, repair and maintenance of an air compressor system, Cisco Air System’s skilled staff is more than capable of providing service in each of these areas. We supply parts, accessories and service for all makes and models of air compressors and related equipment. In addition, we offer PackageCare, service plan programs and extended warranties to protect your compressed air system investment. 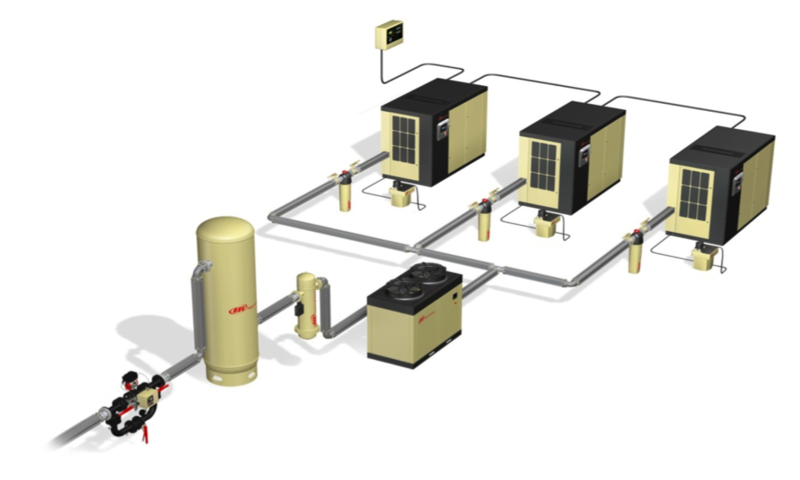 Q: What does it take to fine tune an air compressor system? A: It takes years of experience in the field and in the business to understand the complexities of both new and older air compressor systems. Cisco Air Systems has trained staff, some with over 30 years or more in the business, to help customers optimize their compressed air systems. This experience coupled with quality products helps ensure you are in the right hands. We are dedicated to helping our customers save money through air and energy efficiencies, reducing maintenance on equipment and by providing reliable, consistent compressed air systems. There is no job too small or too large; from the smallest air-cooled reciprocating air compressor system to the largest water-cooled centrifugal system, we have the ability and experience to take your project from inception to a completed installation. 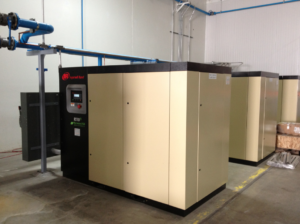 Contact our service department at (888) 491-4011 or email us at info@ciscoair.com if you have questions about your air compressor installation project. 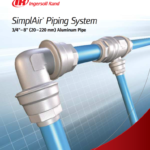 Please fill out the form below to download the SimplAir Piping brochure.